A 28-year-old man, Pashupathi has shocked many by bringing the decapitated head of his friend he killed over an altercation to a police station in India. 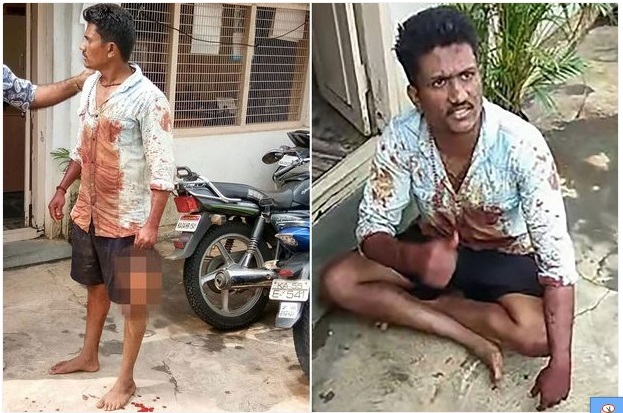 According to Mandya SP, Mr. Pashupathi killed his friend Girish following a scuffle when the victim spoke ill of the accused’s mother. Polic officers at Malavalli station on Saturday flinched when the man nonchalantly arrived at the station on a motorcycle and walked in with the severed head of another man in his hand. The case is now being investigated.